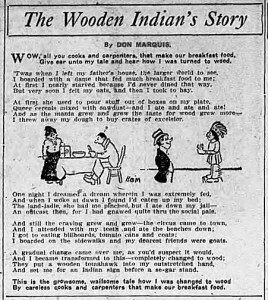 It was 100 years ago, on March 20, 1916, that Don Marquis added a fanciful bit of filler material to his daily newspaper column in The Evening Sun. He claimed that a cockroach had crawled onto his typewriter the night before and left a message by diving on the keys, one at a time. 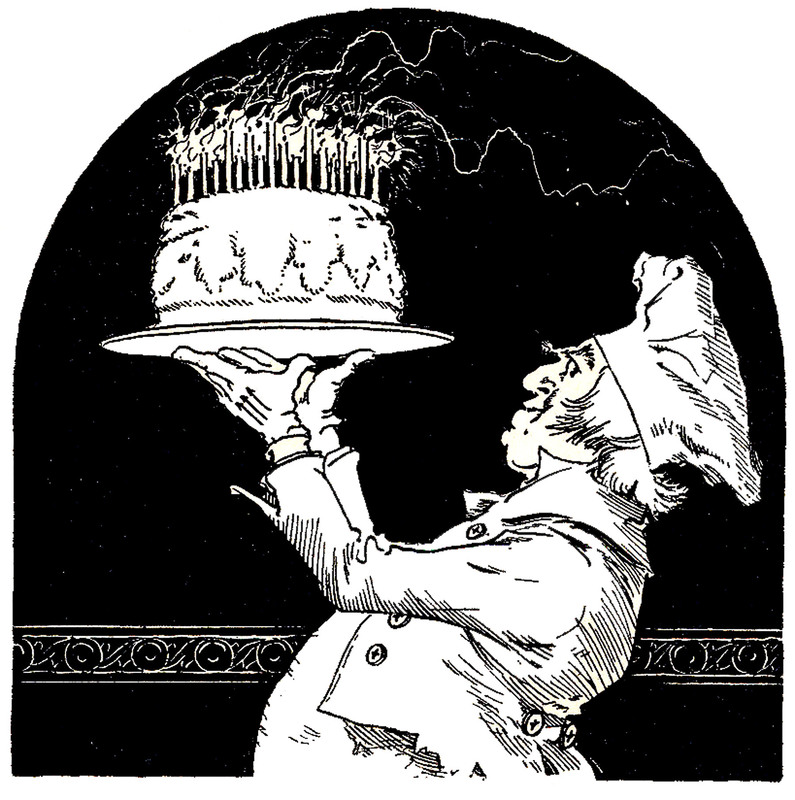 Many more messages would follow from the labors of Archy the cockroach, including wild tales of a neighborhood alley cat, Mehitabel. It was brilliant stuff, and it’s still with us today. Let’s celebrate! Plans in New York City include performances of actor Gale McNeeley’s one-man show, “Archy and Mehitabel”; a walking tour of New York’s old Newspaper Row on Sunday, March 27; and a special gathering of Marquis fans on the evening of Tuesday, March 29, at Jimmy’s No. 43, a bar/restaurant in the East Village, where tales will be told, Archy poems will be sung, and toasts will be raised to Don Marquis, Archy and Mehitabel. 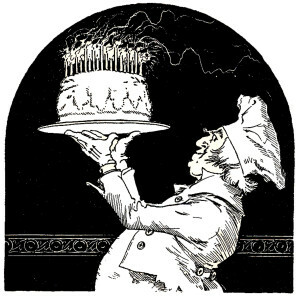 If you will be in New York City on Wednesday, July 29, please join us for dinner and drinks to celebrate Don Marquis’ 137th birthday. A few fans will be gathering that evening to talk, relax and tell stories about Don and his crowd. If someone feels the urge to channel Archy and recite some poetry (nothing too serious, of course), that’s fine, too! A location hasn’t been determined yet, but perhaps a tavern with a dining room near City Hall (and the former homes of The Sun and the Tribune), or maybe Keen’s Steakhouse, further uptown, where Don’s co-workers toasted him in 1922, when he left The Sun to join the Tribune staff. If you’re interested in attending, send a note to john@donmarquis.com. And if you’re in Boston a few days beforehand, some folks plan to be there July 25-26 to see the Blunderwood typewriter (see below) on display in the Rose Kennedy Greenway. An early birthday toast might be in order. 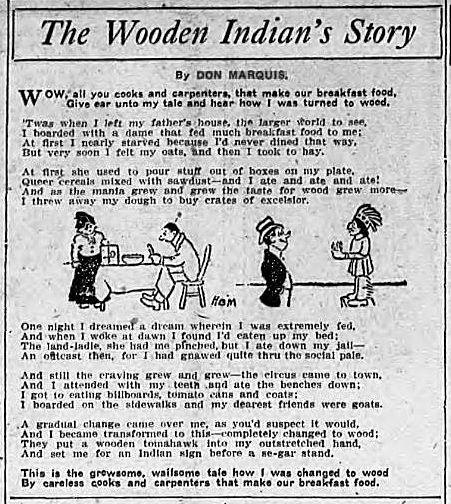 In January 1910, Don was settling into his first solid newspaper job in New York City after weeks of frustration. He had arrived from Atlanta barely a month earlier (on Thanksgiving day) and assumed that one of the big New York dailies would instantly recognize his talent, if not his name. He had been a big deal down in Atlanta, after all: associate editor of Joel Chandler Harris’ Uncle Remus’s Magazine and an up-and-coming poet published in a dozen other magazines with national readership. But New York was unimpressed. An expected offer from the Herald never came, and a tryout at the Tribune ended bitterly. So did a brief stint at one of the news services there. Desperate for work, Don submitted freelance pieces to all sorts of publications, including a poem poking fun at recent events that appeared in the February 1910 issue of Mother Earth, an anarchist magazine edited by Emma Goldman. By January, however, things were looking up. A friend had helped Don get a job on the rewrite desk of the New York American, Hearst’s morning daily, and its editors agreed to pay him extra for additional light fare that they ran on a feature page — with Don’s byline.